ONLF, the Ogaden National Liberation Front, on Monday, officially began a two-day the 2nd Central Committee Convention in Qabri Dahare of Ethiopia’s Somali State. 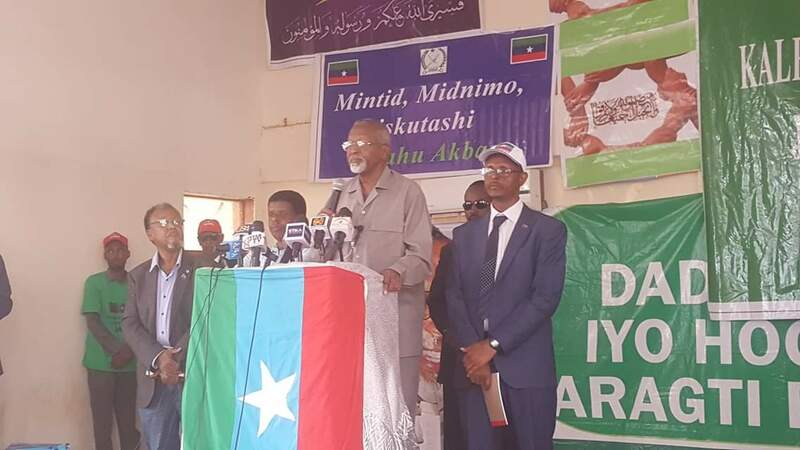 The convention saw the attendance of senior members of ONLF who are based at home and abroad and delegates from provinces in the Somali state and traditional elders. Oromia Liberation Front members were invited to attend the organization’s congress. ONLF chairman, Mr. Mohamed Omar Osman has delivered an opening remarks at the convention by talking about the stages that the organization went through. He said that the organization has laid down the arms and commenced to use the pen as lethal weapon to reach its goals. Admiral Mohamed has said that the organization will gather public opinion and will decide on the what the public will say. The chairman has blasted the current Somali regional authority led by president Mustafe Cagjar that the state has not made any progress having ONLF made a tour to all Somali States regions.